Jack Harrell is a writer, essayist, and English professor. 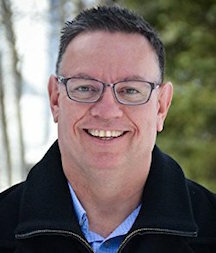 He earned his bachelor’s degree in English from Brigham Young University, his master’s degree in English from Illinois State University, and his PhD in education from the University of Idaho. His novel Vernal Promises won the Marilyn Brown Novel Award. His book A Sense of Order and Other Stories contains the award-winning stories "Calling and Election" and "A Prophet's Story." He also wrote the novel Caldera Ridge. He has published in Dialogue: A Journal of Mormon Thought, The Storyteller, Manna, and Irreantum. He served for five years as co-editor for Irreantum, the publication of the Association for Mormon Letters. Harrell was the composition director in the English department at Brigham Young University-Idaho from 2006 to 2011, where he has taught since 1995. He previously chaired the Creative Writing Committee. He grew up in the small farming community of Parkersburg, Illinois. After graduating from high school, he moved to Vernal, Utah. His older brother was living there and working in the oil field business and his older sister and her husband had recently moved there. After a few years, he was baptized a member of The Church of Jesus Christ of Latter-day Saints. He and his wife, Rebecca, and their children live in Idaho. This page was last edited on 25 June 2018, at 17:12.